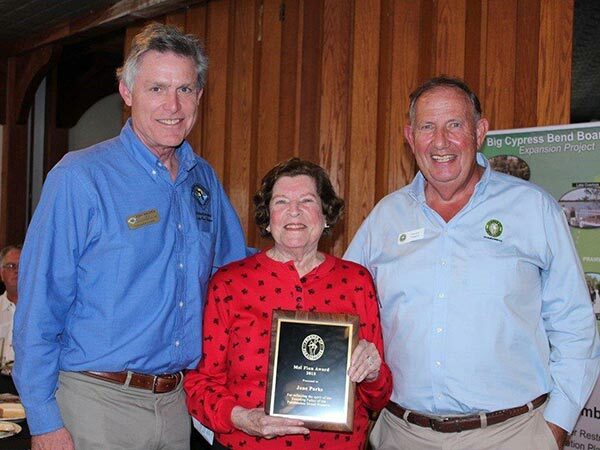 Several Past Presidents joined FOF in celebrating its 20th anniversary. 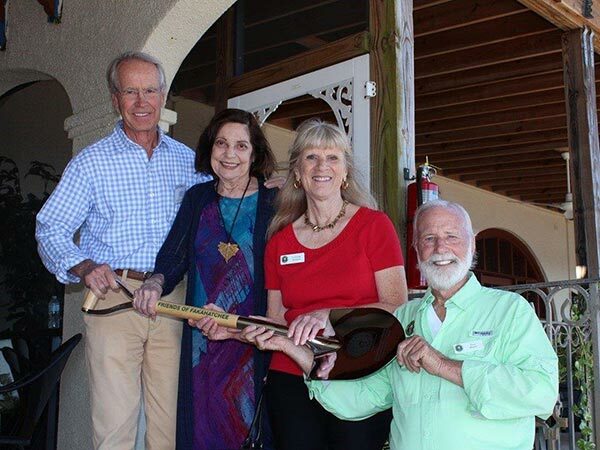 Left to right: Incoming FOF President Glen Stacell, with FOF Past-Presidents Elsie Caldwell, Patrick Higgins, Patty Huff, John Elting, Francine Stevens, Tom Maish. 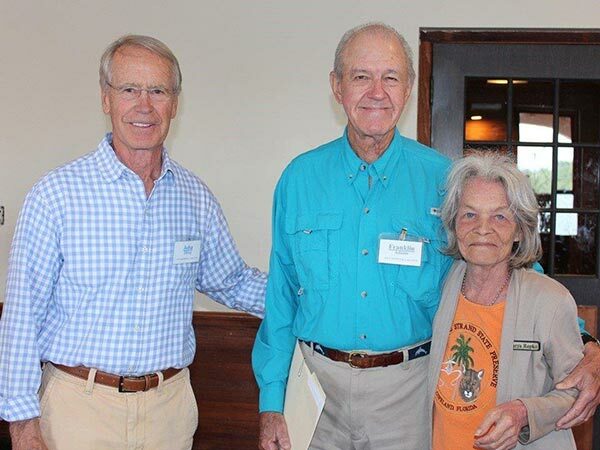 The Friends of Fakahatchee celebrated its 20th anniversary in a packed dining room at the Everglades Adventure Center in Everglades City the afternoon of December 7. 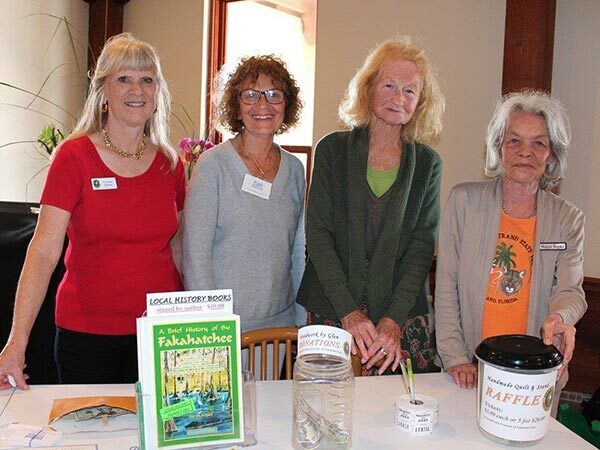 There was ample time to greet old friends and make new ones before the program hosted by FOF Executive Director Francine Stevens. 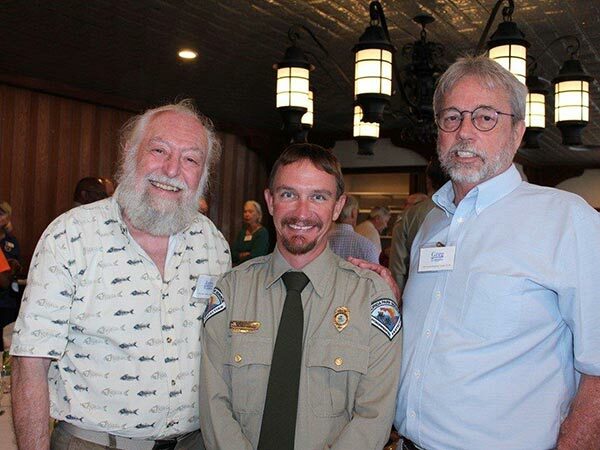 Among our many honored guests who were able to attend were most of FOF’s past Presidents, along with Greg Toppin, the first Park Manager to work with the Friends. We also welcomed three of our new Permitted Tour Operators who were able to attend. FOF Historian Franklin Adams shared his Fakahatchee memories with the group. He read from a 1964 letter from Mel Finn to Jane Parks assuring her that “we will be successful” in the efforts to preserve the Fakahatchee. 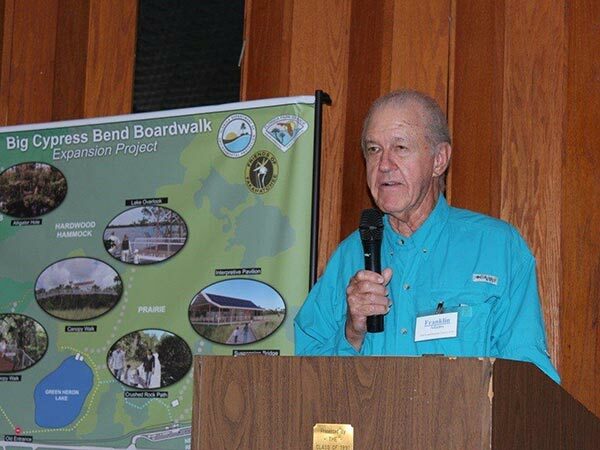 He recalled how then Park Manager Greg Toppin posted a notice on a church bulletin board in 1998 that lead to the formation of the Friends of Fakahatchee. Several months later FOF volunteers were clearing exotics in the park. 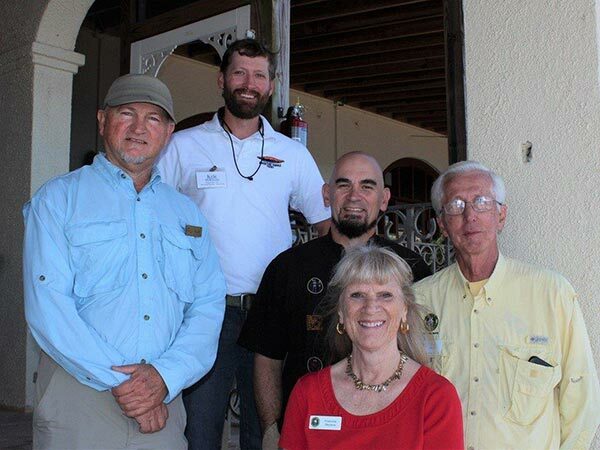 Permitted Tour Operators Dillon Griffith of Ivey House and Kyle Mc Kenzie of Adventure Paddle Tours, Pete Corradino of Everglades Day Safari, with Executive Director Francine Stevens and Incoming FOF President Glen Stacell.